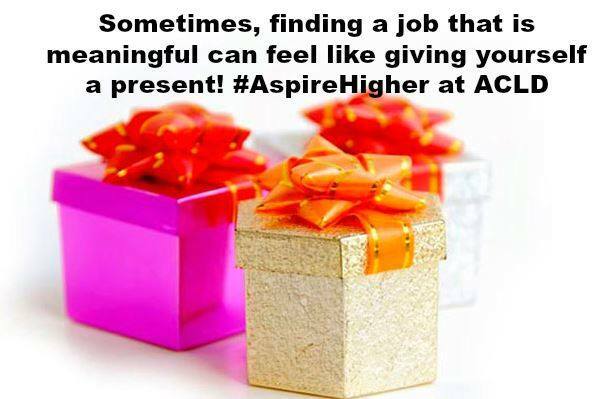 ACLD holds recruitment events throughout the year to find a talented workforce that can help people to aspire higher! Please check back for our upcoming recruitment events. We currently have great full-time and part-time opportunities for a few positive, motivated individuals with a passion to have a meaningful impact by facilitating the lives of the amazing people we support. Working in this rewarding role, you will assist adults in reaching the highest level of independence with the freedom to ASPIRE HIGHER in their hopes, dreams and accomplishments.